With professional level features such as delayed transmission timers and a large automatic document feeder, this heavy duty fax machine utilizes the latest in super G3 high speed fax technology to improve on past designs, resulting in an impressive machine. With a maximum fax resolution of 203 x 392 lines, the Brother Intellifax 4750E is at the top of its game as far as picture quality. Under normal circumstances, this is the highest fax resolution one would find available, and provides the clearest possible fax, helping to prevent smearing and illegibility. With a fax modem speed of 33.6 Kbps and a built in Super G3 fax modem, plus optimized fax technology, faxes can be sent and received from the Brother Intellifax 4750E at a rate of approximately 2 seconds per page. Though the old standard for fax speed was 3 seconds, which still is quite fast, shaving the extra time off can be key when sending large quantities of input at once. Also critical when dealing with large quantities of paper is a beefy automatic document feeder, which the Brother Intellifax 4750E provides. With up to fifty pages loadable into this unit's ADF, it would be hard to imagine a fax load that this device couldn't handle. 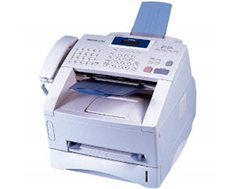 While the unit's built in 8 MBs of memory is enough for loads of fax page memory and a digital phonebook, there is the issue of the Brother Intellifax 4750E and its abilities as a printer. When office space is limited, there is no reason not to have multifunctional units, and the makers of this unit are fully aware of that, which is why they have included both copy and print abilities. Unfortunately, both are quite awful. Copies have a maximum resolution of only 600 dots per inch. Though this is good for a fax machine, it is not really up to par for a multifunctional unit. The copies also produce at a very slow rate of only 15 pages per minute, and there is only a single copy function available: reduction and enlargement in rations of 50% - 200%. 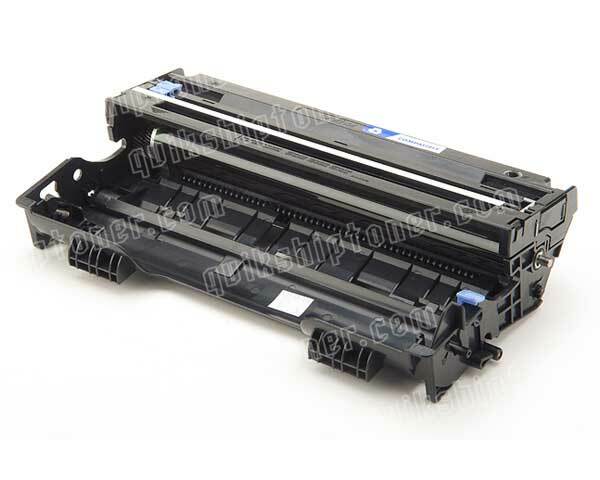 Print also runs at a sluggish speed, though the unit itself has a total maximum monthly duty cycle of 15,000 printed pages, shared among all functions. Recommended duty is only 3,000 pages, however. The telephone handset, though helpful for some, is quite cumbersome if not downright ugly, but also, more importantly, unnecessary for many buyers who would be better served with a simplified, boxy multifunctional device with a wider range of functions. Review it: "Brother intelliFAX 4750E "
Like and laser driven device, such as printers and copy machines, fax machines rely on toner to produce imagery on the page. 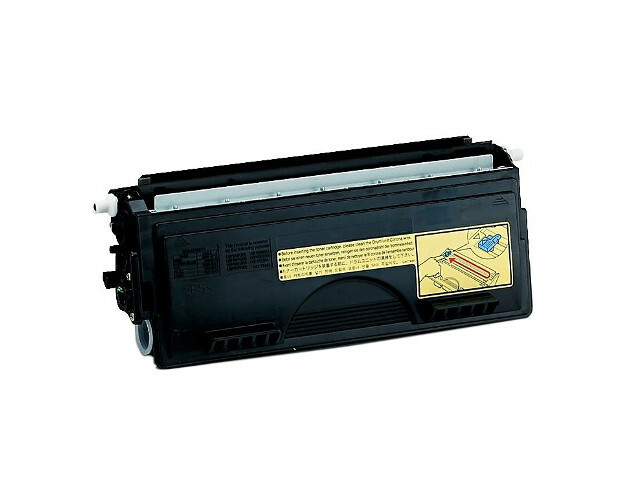 A toner cartridge and drum combination is available for the Brother Intellifax 4750E with high yield toner rated at 6,000 pages of print at 5% coverage and a fax machine drum capable of 20,000 pages. For a fax machine, these numbers are quite good, and this unit is very well equipped for high volume faxing.